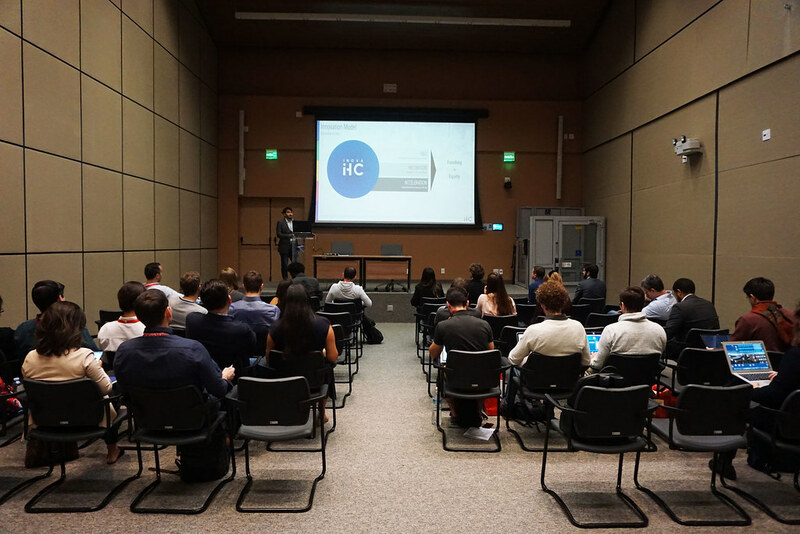 On the morning of November 30, Etienne Jeoffroy took the stage to present the project of its science-based startup, Fenx. 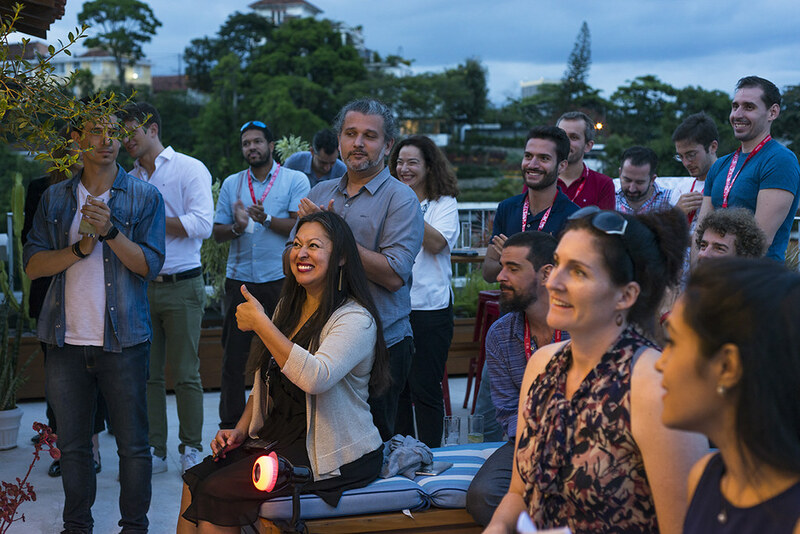 In the audience, more than 100 people from the innovation ecosystem of Rio de Janeiro, business mentors and investors followed the pitch. The presentation on non-flammable, recyclable and eco-friendly insulation panels for civil construction use guaranteed him the first place among the 20 participants of the 5th Academia-Industry Training Brazil. 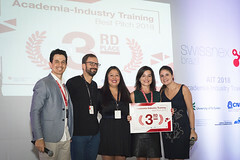 But the AIT is not just the last big event that awarded Etienne, Ana Ferronato and Fabiana Noronha, in 1st, 2nd, and 3rd places, respectively. 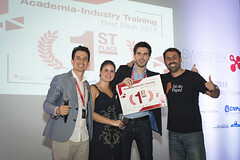 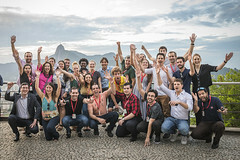 In fact, it is yet another stage of the intense week of training for Brazilian and Swiss “entrepreneurs” who want to turn the high-level research developed in their universities into products for the market. 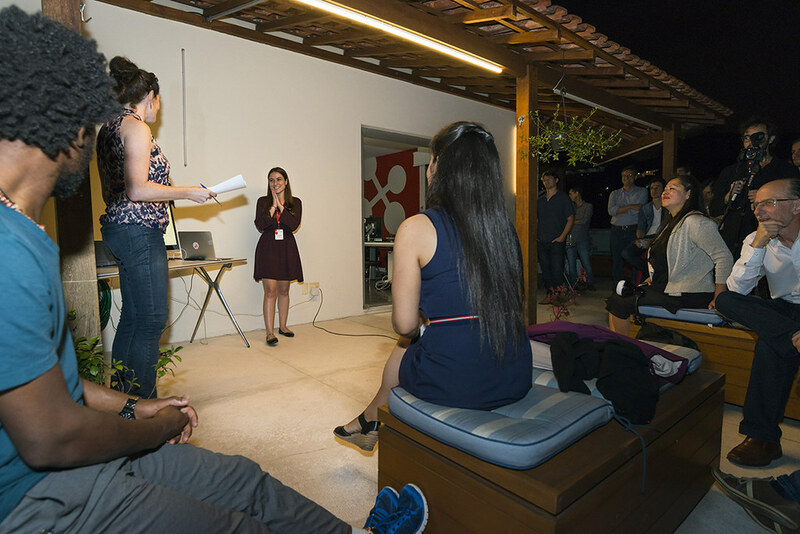 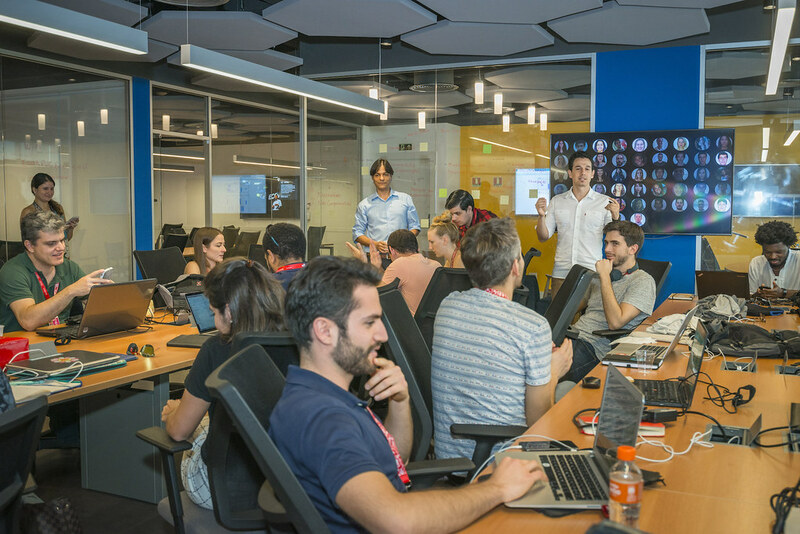 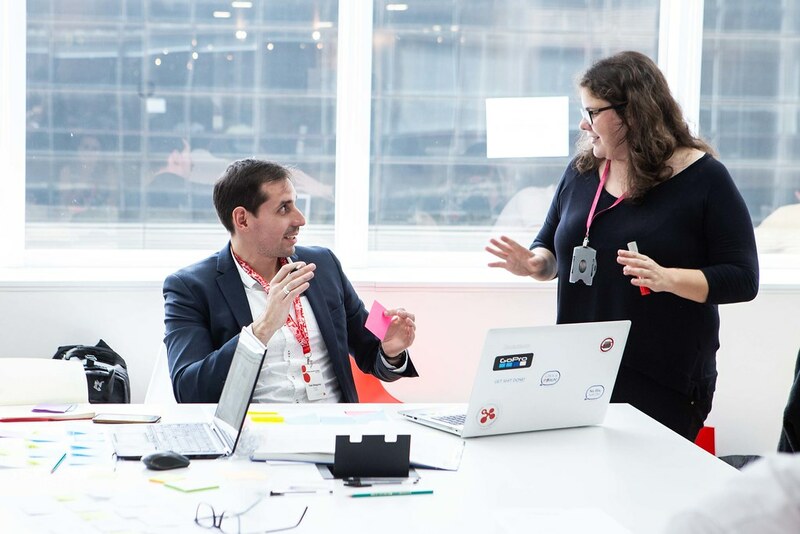 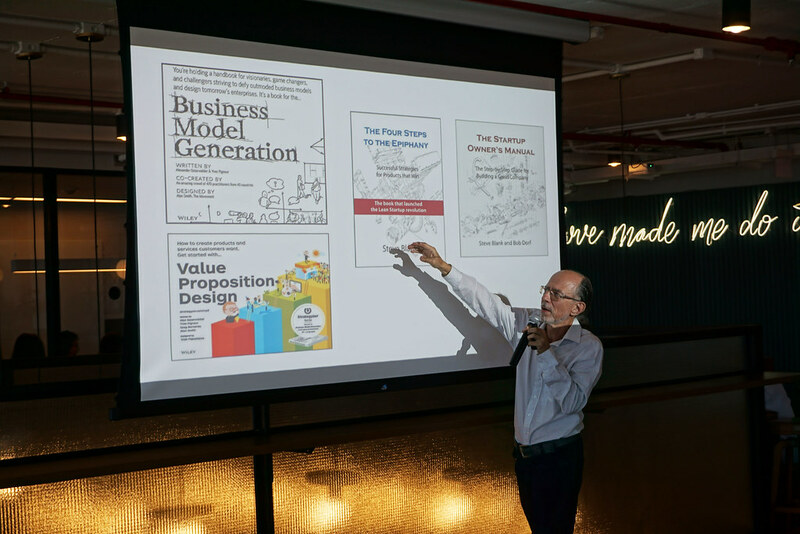 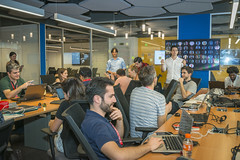 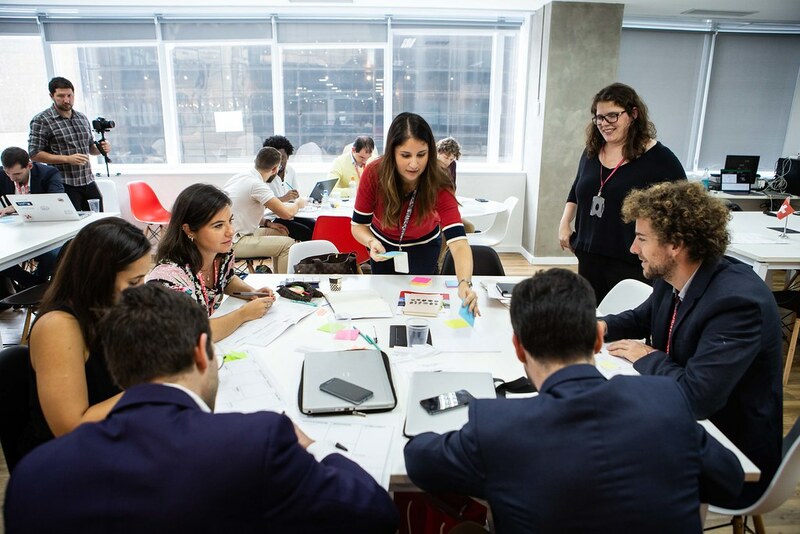 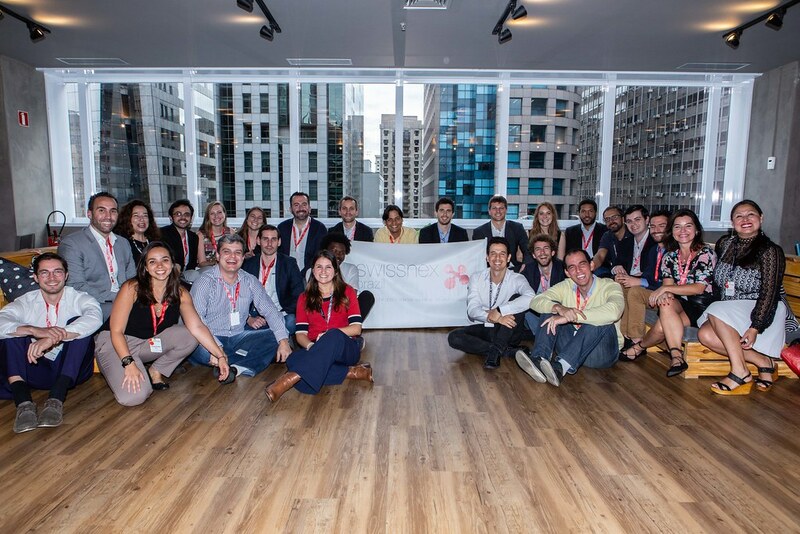 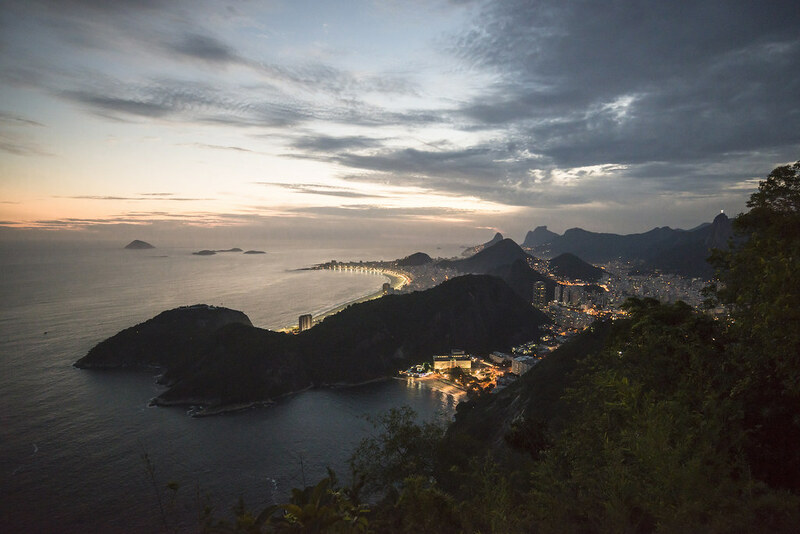 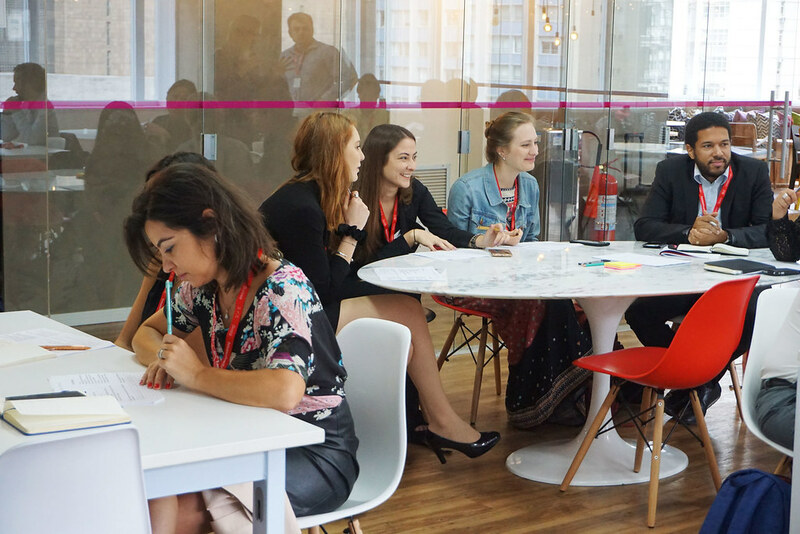 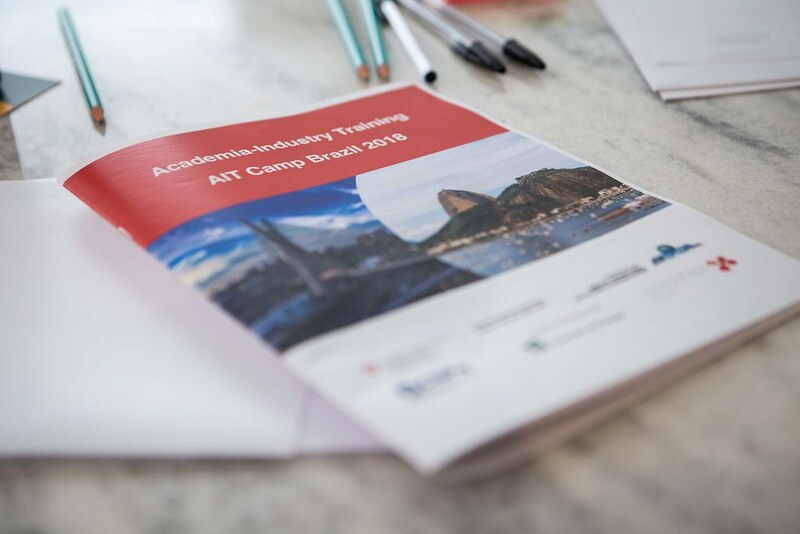 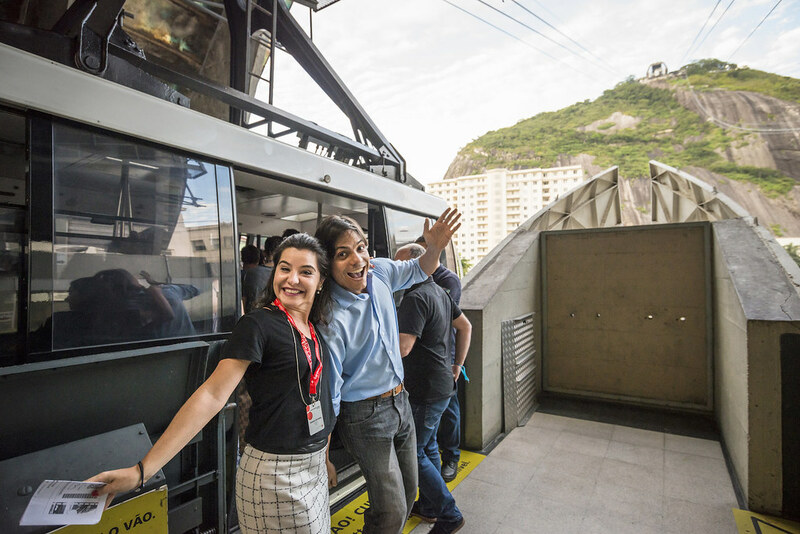 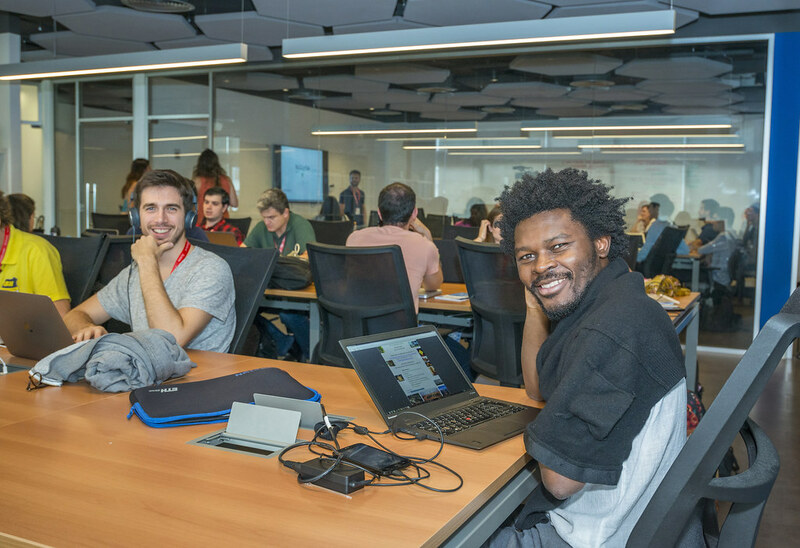 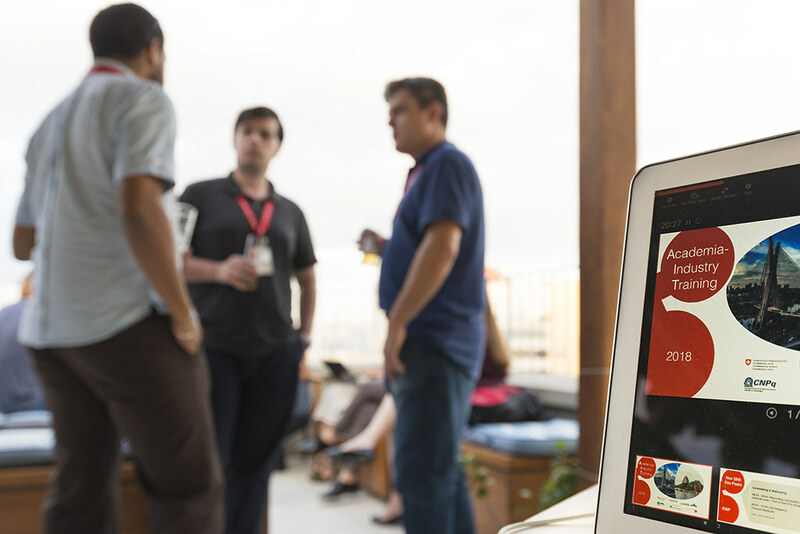 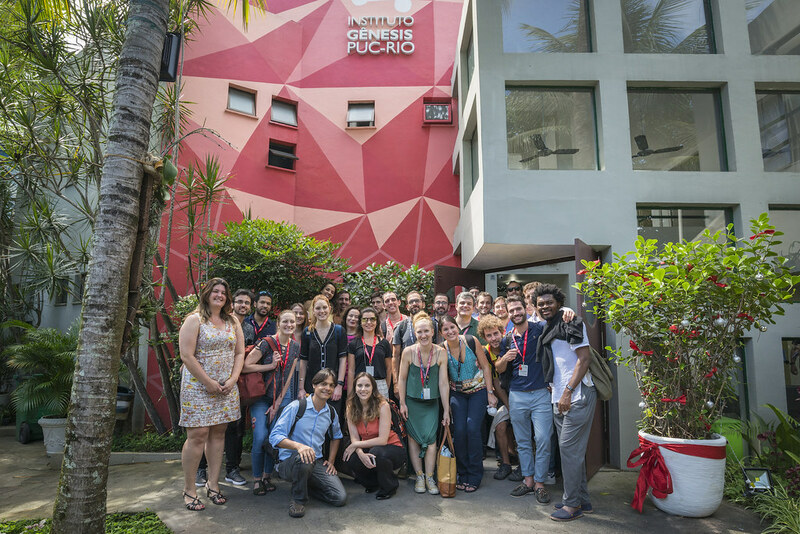 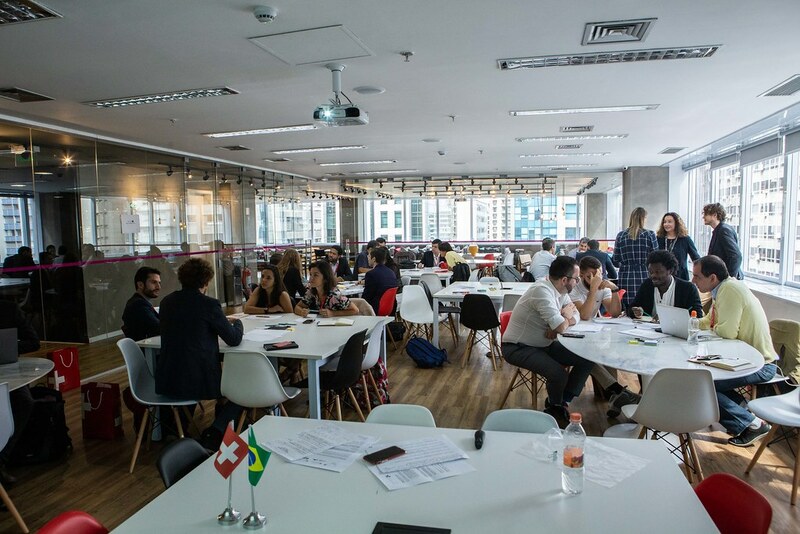 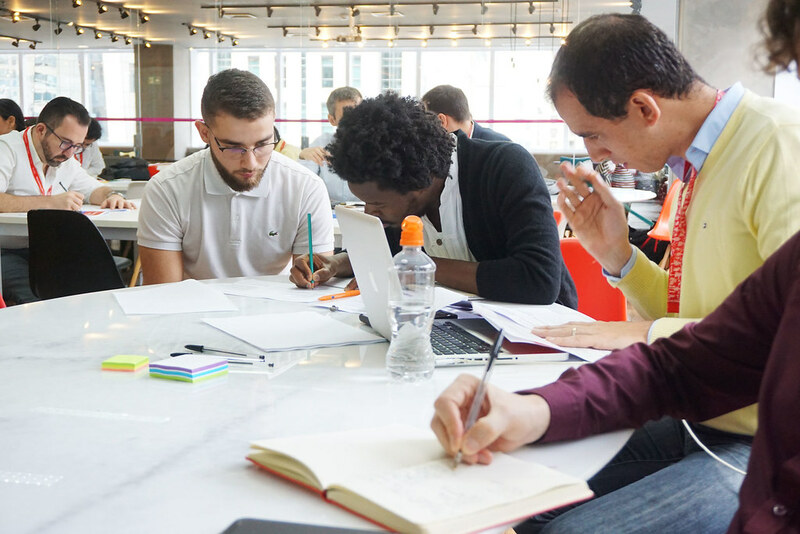 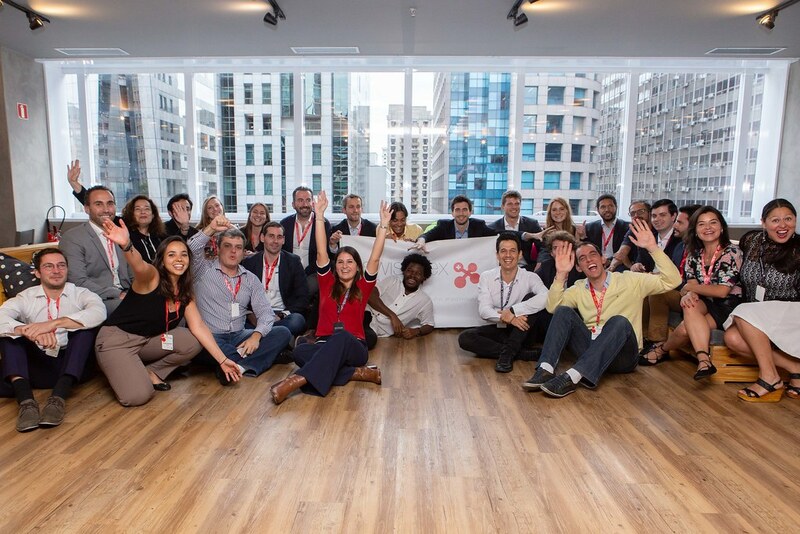 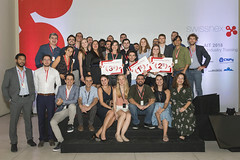 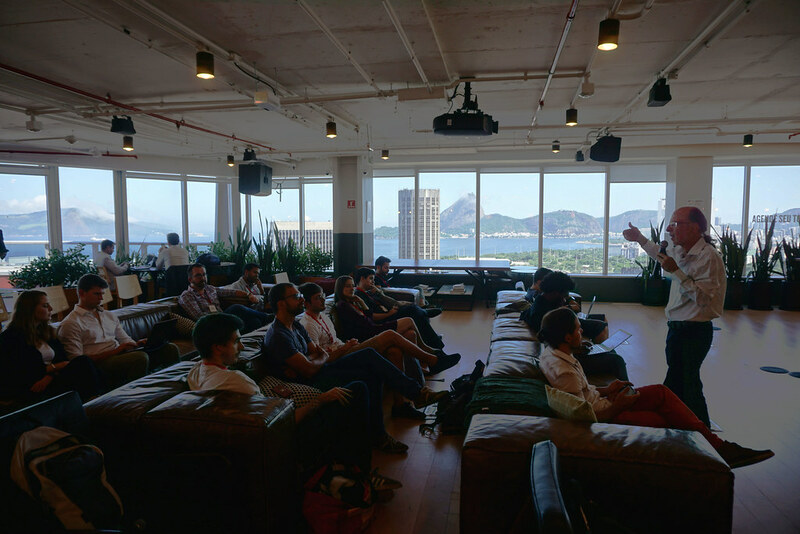 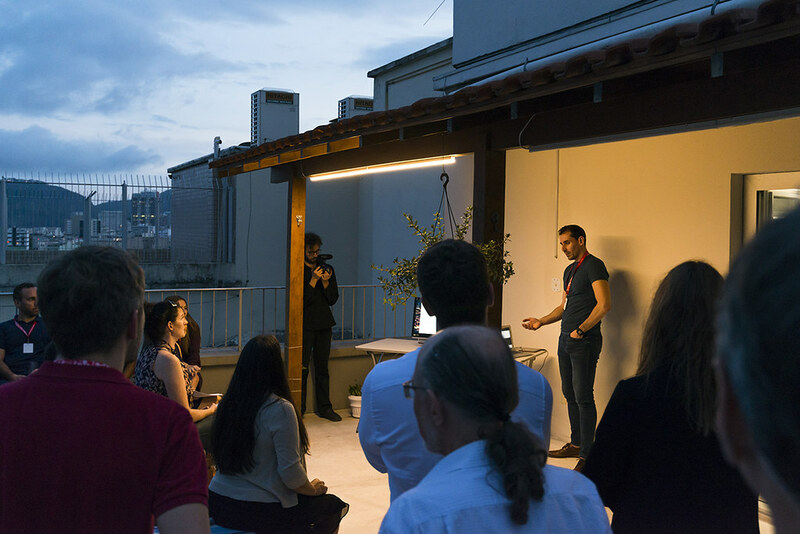 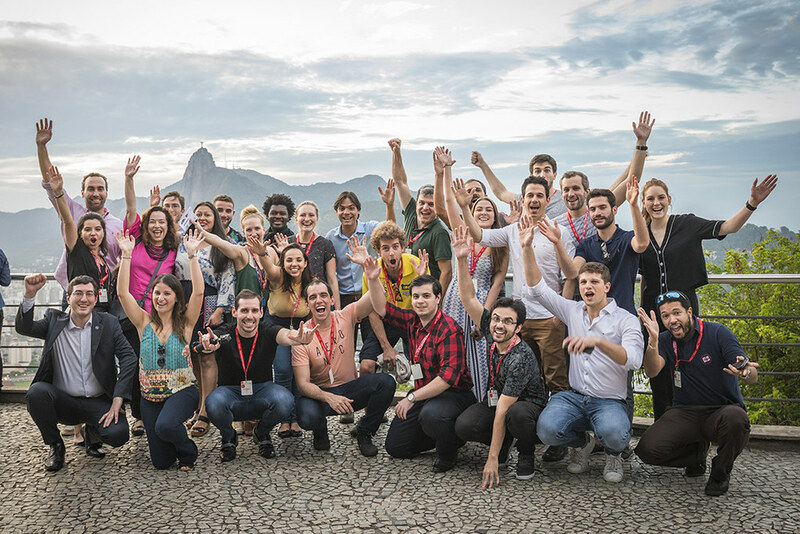 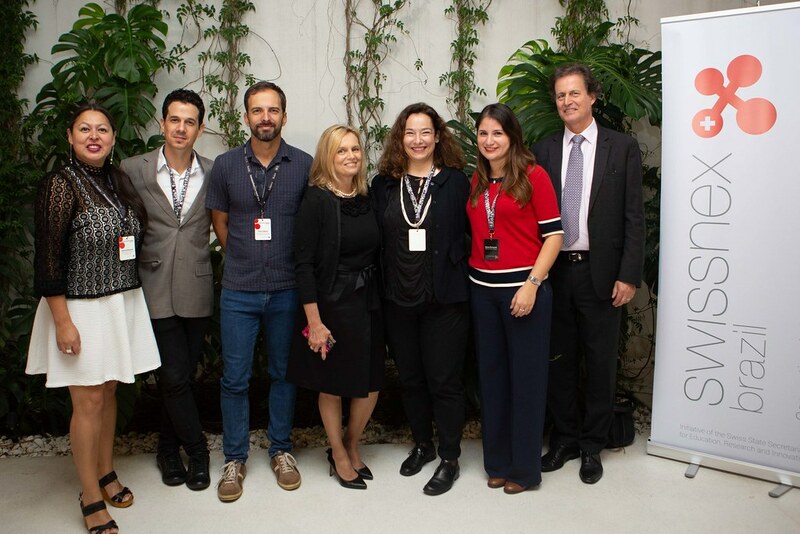 The 2018 edition of the AIT program included for the first time the two largest Brazilian cities, where swissnex Brazil has offices: São Paulo and Rio de Janeiro. 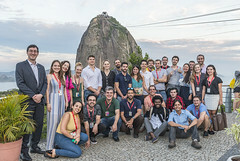 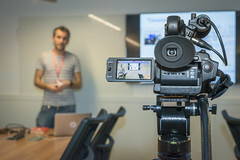 The combination of these sites has made the training program, workshops and technical visits even richer, aimed at improving the business model and presentation techniques of the researchers, as well as creating networking opportunities. 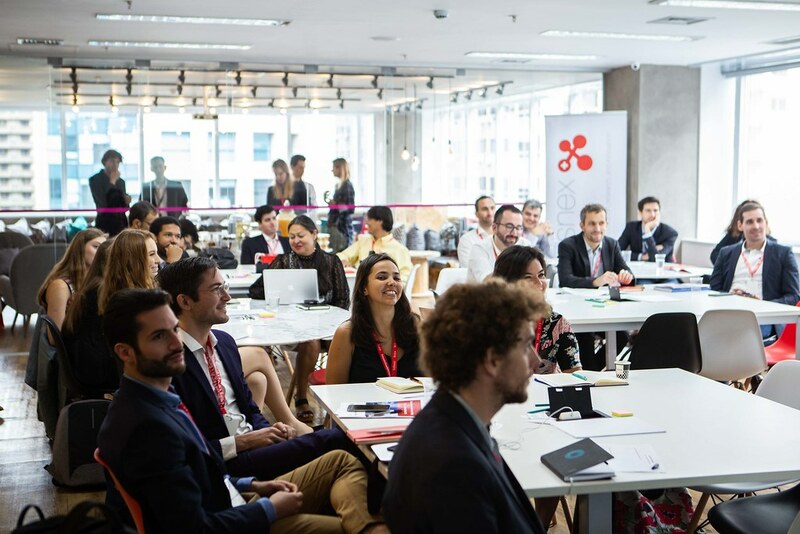 Among the partners involved in this year’s edition are ABBI, Fiap, InovaHC, Sai do Papel, Nós8, FCR Law, Dannemann Siemsen, Eretz.Bio, Vox Capital, I-Deal Advisors, Firjan, Instituto D’Or, WeWork, UFRJ Innovation Agency, Puc- Rio Innovation Agency, Gênesis Institute, IAG Business School, Brain Ventures, Emerge Labs, The Software Engineering Laboratory, and IED Rio, the Istituto Europeo di Design that hosted the Final Pitching Session in a privileged space in the beautiful Urca district of Rio de Janeiro. 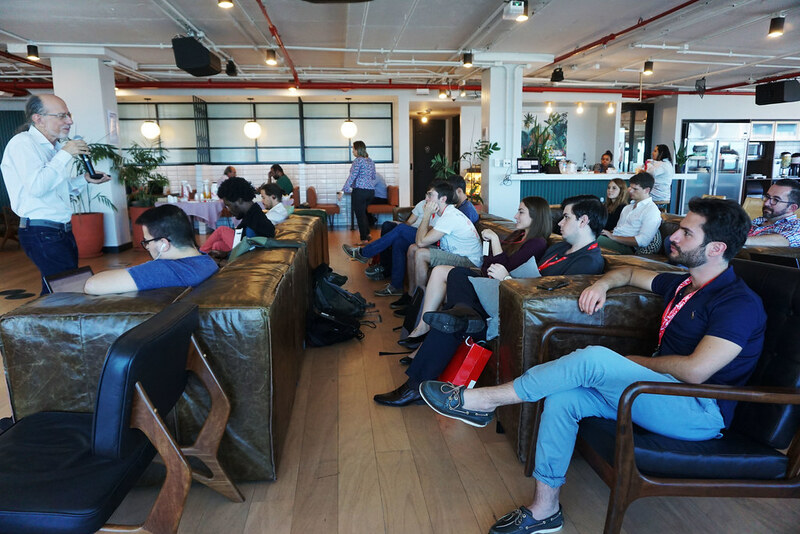 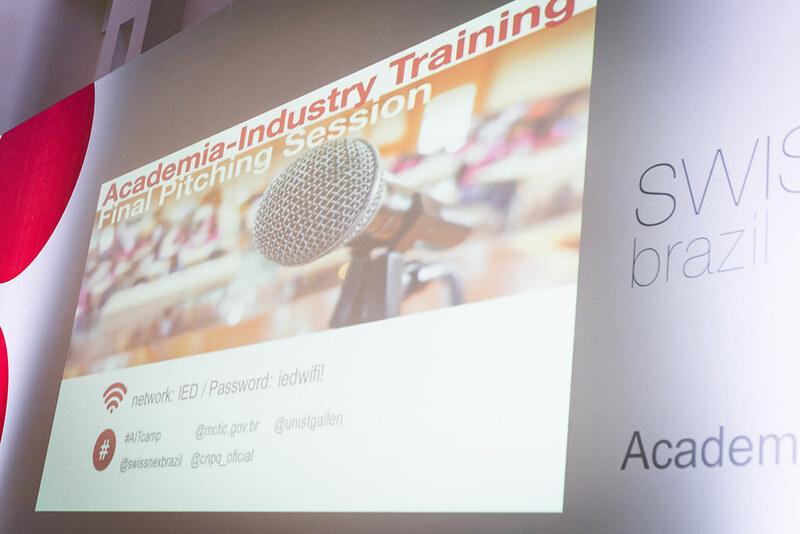 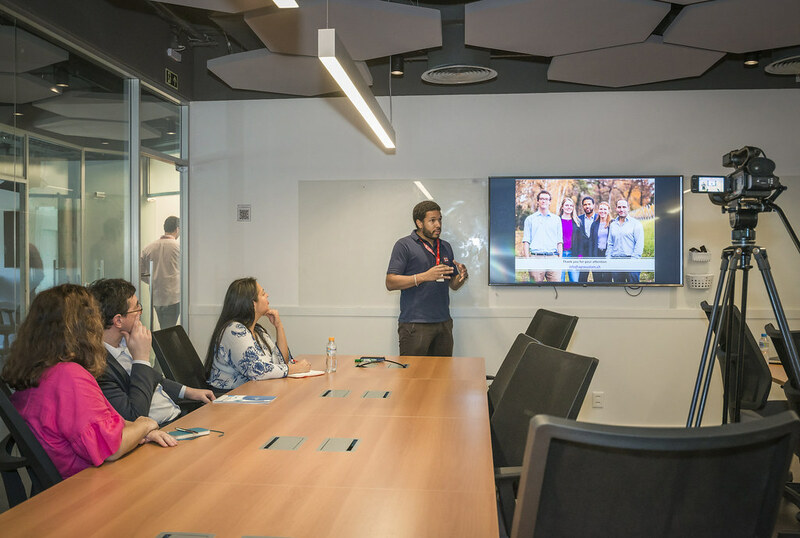 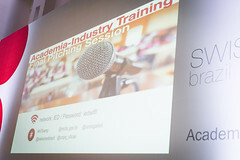 The Academia-Industry Training featured startups from different areas, such as AgriTech, Big Data, Construction, Education, FinTech, Foodtech, MedTech and SaaS, among others. 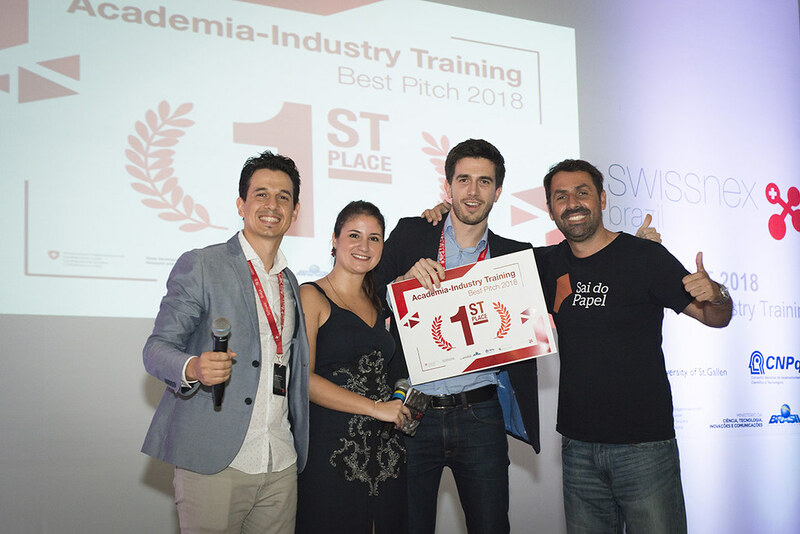 Entrepreneurial scientists are masters, doctoral or postdoctoral researchers from Brazilian and Swiss universities. 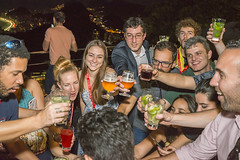 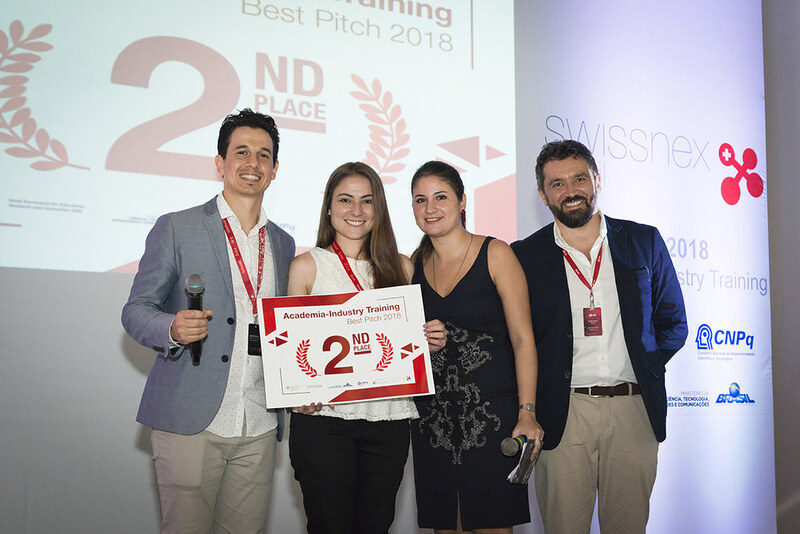 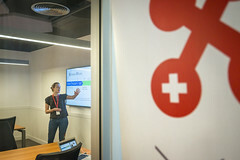 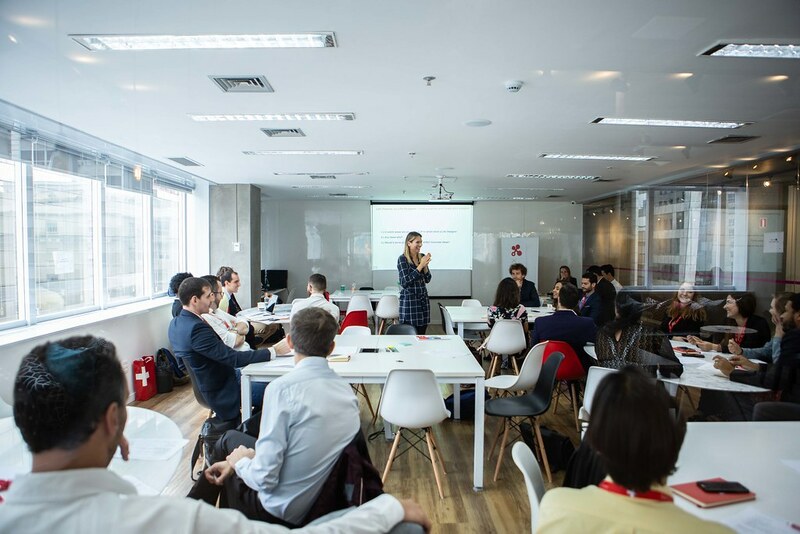 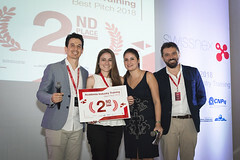 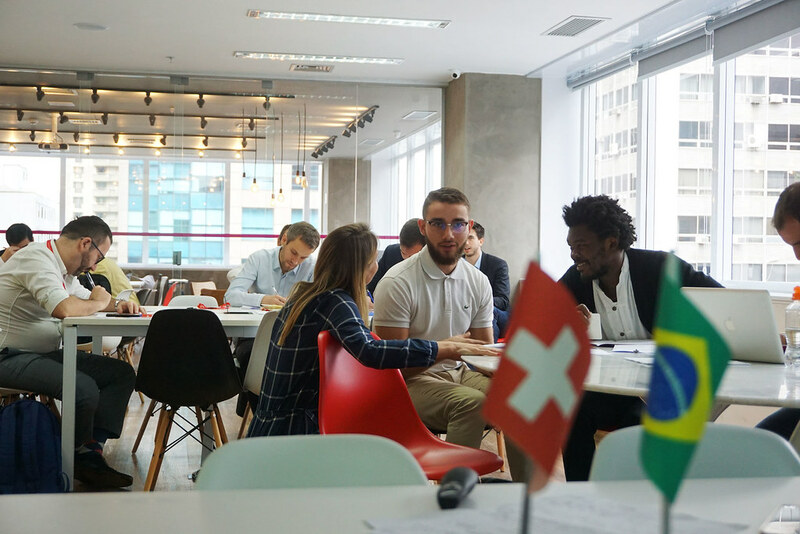 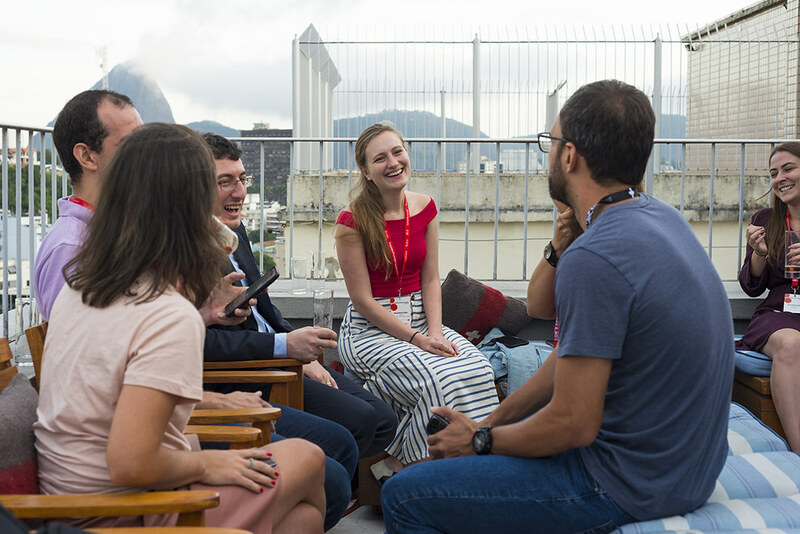 In April 2019, Brazilians and Swiss will meet again, this time in Switzerland, for the second week and final stage of the AIT program of entrepreneurship, innovation, and international scientific cooperation. 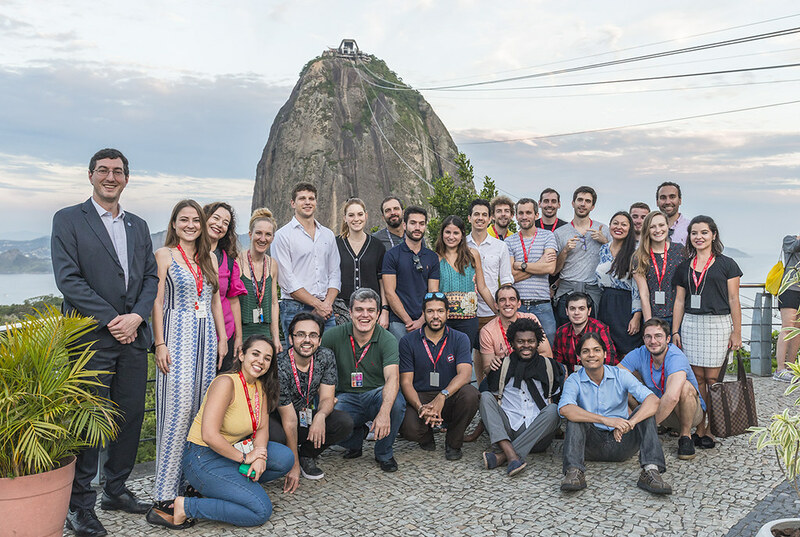 Meet the participants of the Academia-Industry Training Brazil 2018. 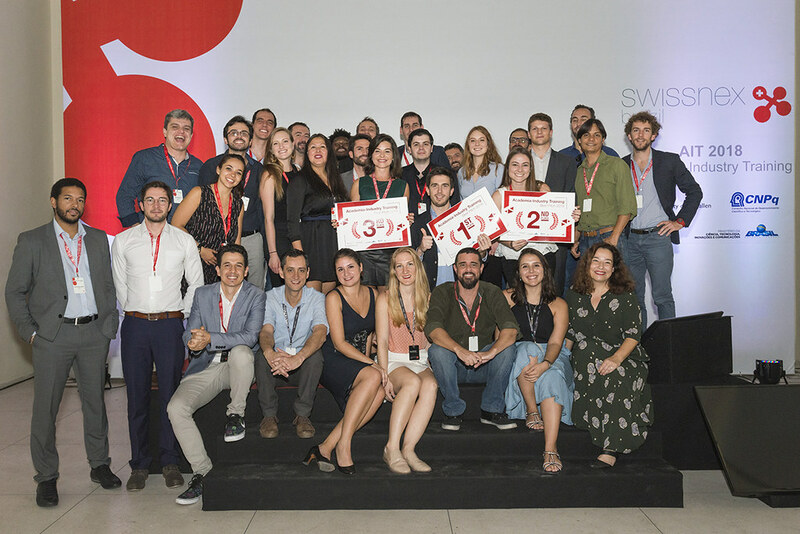 The AIT is an initiative of swissnex Brazil and the University of St. Gallen, in collaboration with the National Council for Scientific and Technological Development (CNPq) and the Ministry of Science, Technology, Innovation and Communications (MCTIC).